You've probably set the goal of increasing your customer base, but have asked yourself what exactly is the customer acquisition process? In order to achieve greater customer acquisition, understanding its process is integral. Once you understand the customer acquisition process, you'll be able to strategize different sales tactics for each stage of the process, which will result in increased conversation rates. 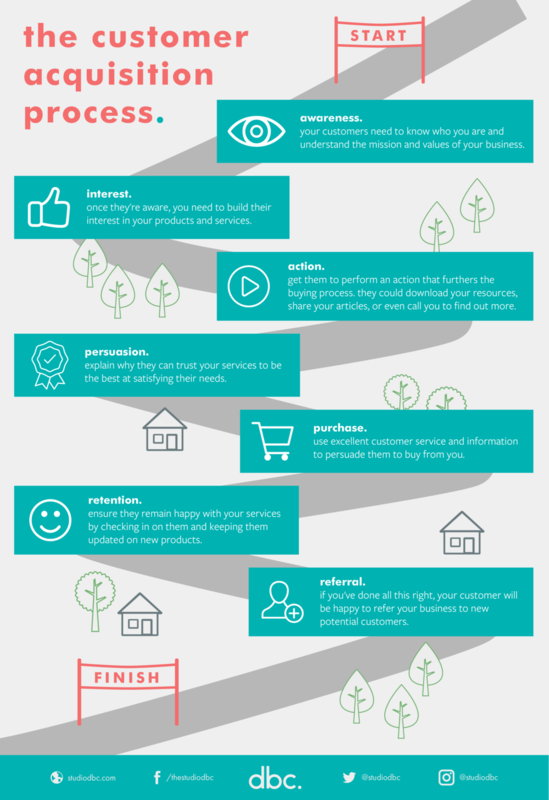 So, what does the customer acquisition process entail? Have a goal of growing your customer acquisition rate? Contact us and see how we can use branding and design to achieve just that!